I love potatoes! All forms of potatoes! Baked, boiled, fried.....mashed! I think if I had to live on just one food for the rest of my life, I'd probably choose potatoes. In fact, all four years of high school, I had french fries for lunch almost every day! When I started the Slimmer this Summer Weightloss Challenge over the summer (which I failed terribly, but we'll save that for another post), I wanted to incorporate more vegetables to our meals. I remembered seeing recipes for Cauliflower "Potatoes" where mashed cauliflower would be served in place of actual potatoes. Since cauliflower isn't exactly my favorite veggie, I thought combining it with potatoes might be a good idea. You know what? It was a great idea! We both really enjoyed the cauliflower/potato combination. They're a perfect side dish for Mini Barbecue Meat Loaves, shown in the photo below. 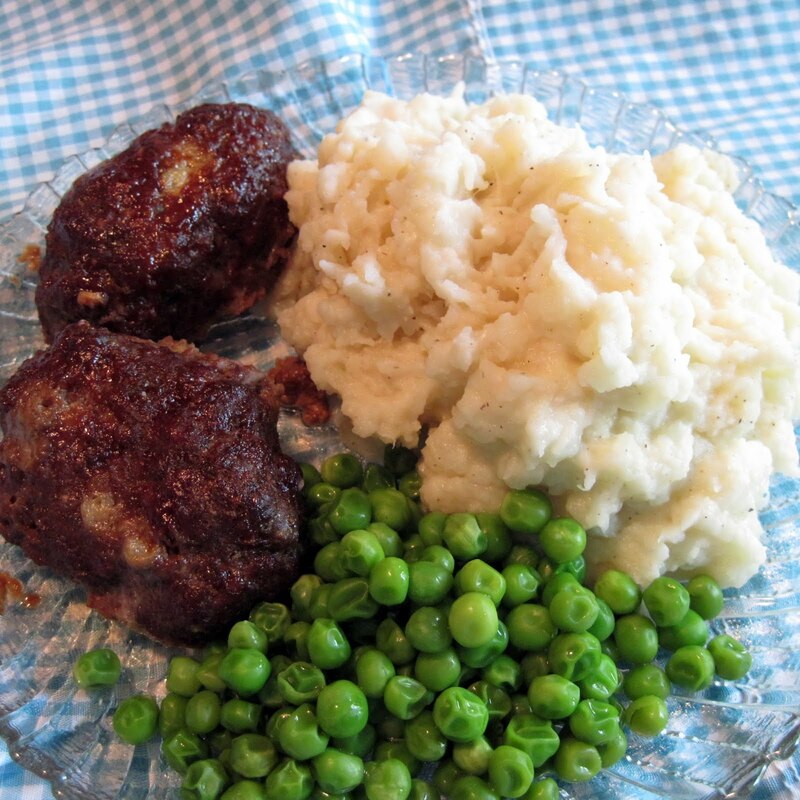 Cook potatoes with cauliflower the same as you would when making mashed potatoes. Drain in colander, then add back to the same pot used to cook them. Add remaining ingredients and mash with an old-fashioned manual masher or electric hand masher. I hope you'll help me spread the word! Menu Plan Monday ~ Week of November 21st. Wordless Wednesday ~ Leaf Pile!